When you or a loved one requires surgery, it’s important to consider all your options. da Vinci Surgery is a minimally invasive approach that thousands of Americans have come to trust for major surgery. Beacon Health System pioneered the area’s first da Vinci Surgery program, which began at Memorial Hospital in 2007. Beacon has the most advanced da Vinci Surgical System on the market, including three da Vinci robots, which enhance the proficiency and capability of an already highly skilled surgical team. 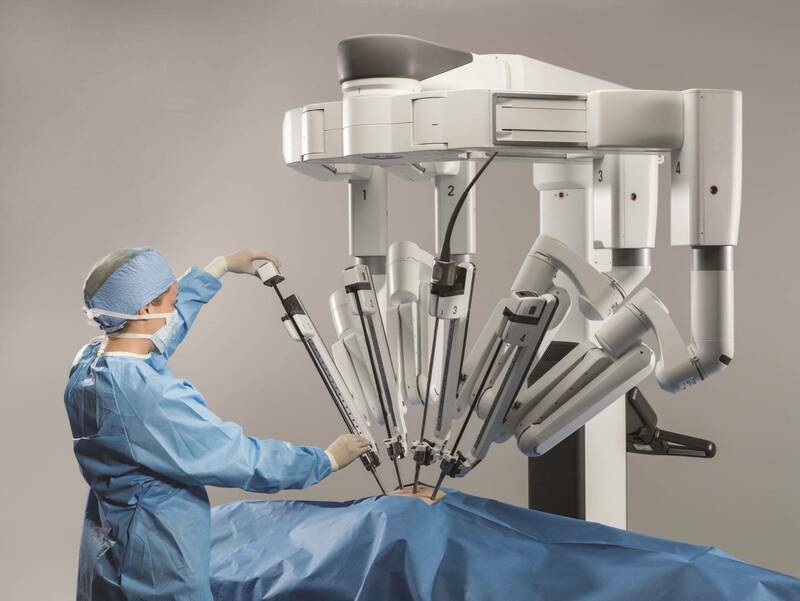 It’s important to know that surgery with da Vinci does not place a robot at the controls; the surgeon is controlling every aspect of the surgery with the assistance of the surgical platform. This breakthrough surgical “robot” features a magnified, 3-D, high-definition vision system and tiny wristed instruments that bend and rotate far greater than the human hand. The system allows your surgeon to use surgical instruments that are too small for human fingers, which means he or she can operate with enhanced vision, control and precision. Your surgeon is 100 percent in control of the da Vinci System at all times. In addition, the da Vinci System allows your surgeon to operate through only a few small incisions rather than performing traditional, open surgery. This means a less invasive experience and shorter recovery time for you. Talk to your doctor to see if da Vinci robotic surgery is right for you. For Elkhart General Hospital’s program, call 574.389.7364. For Memorial Hospital’s program, call 574.647.2460. Watch the da Vinci System in action below.